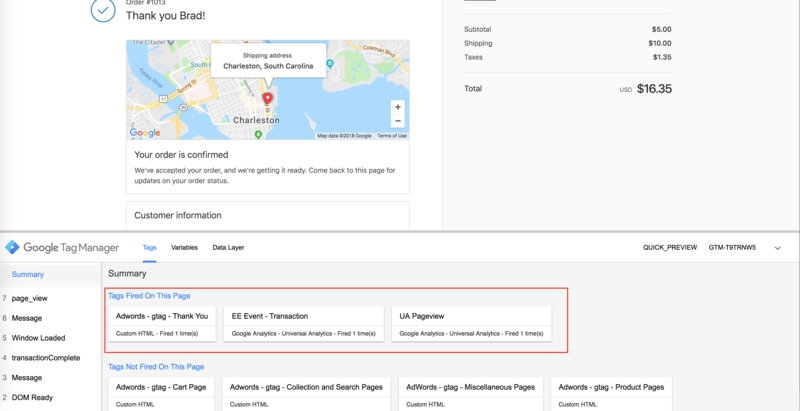 This is your complete guide to transition your Shopify Plus store to using our Google Tag Manager app by Elevar. 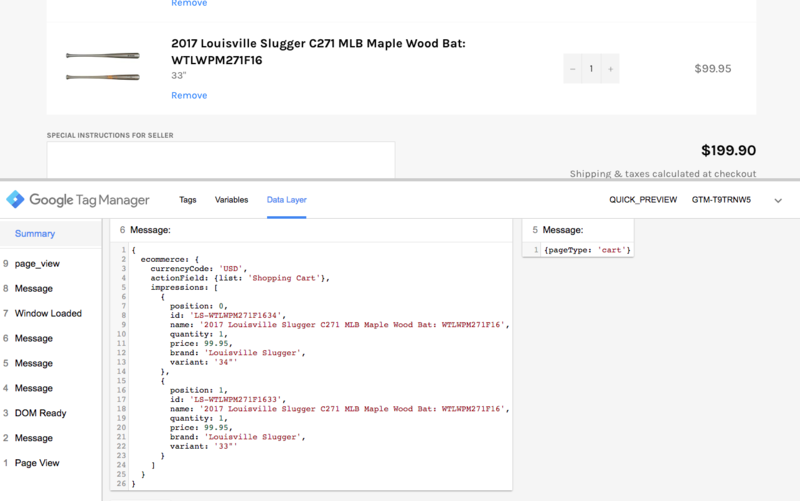 Non-Plus Shopify Store User? 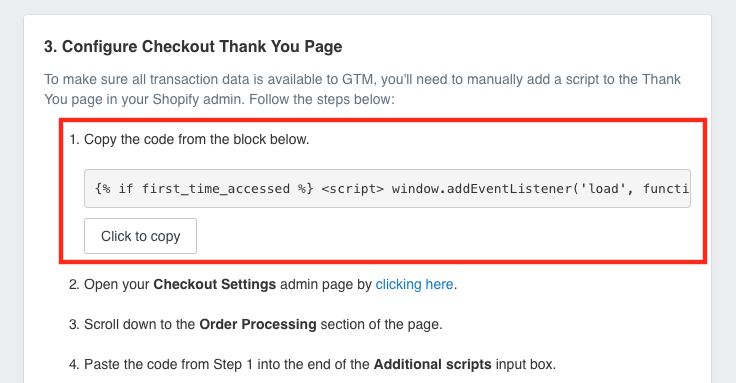 Use this guide instead. 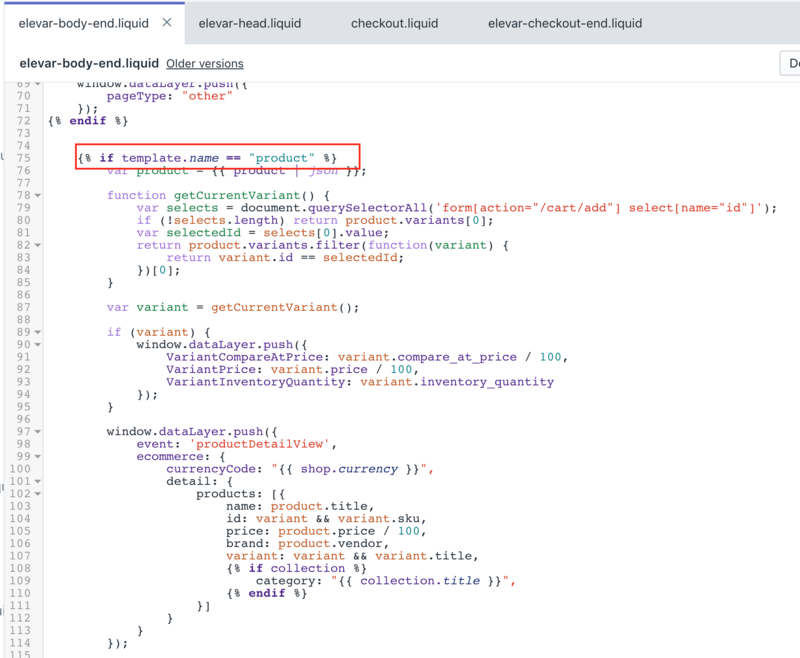 Note: if you do not have access to your checkout.liquid theme file then you will need to contact your Shopify merchant success manager to enable this for you. 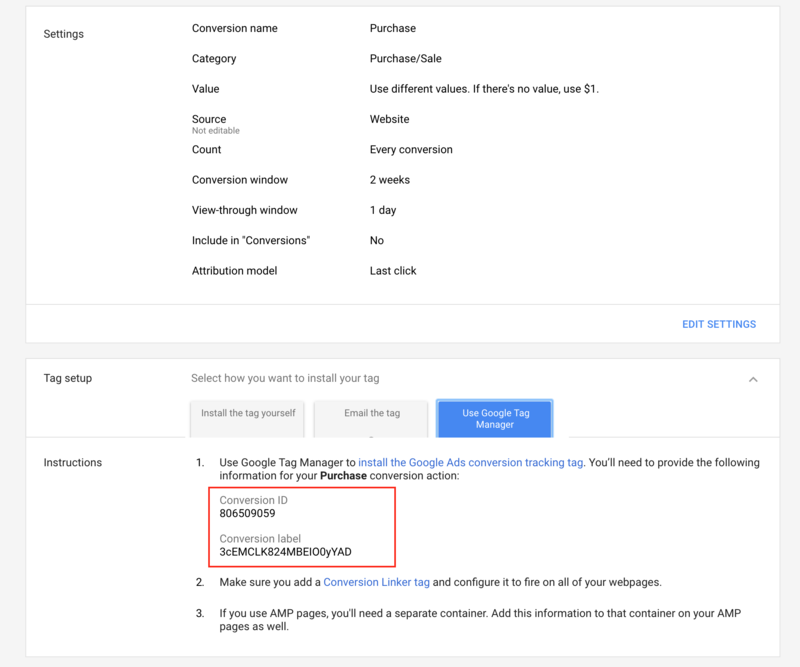 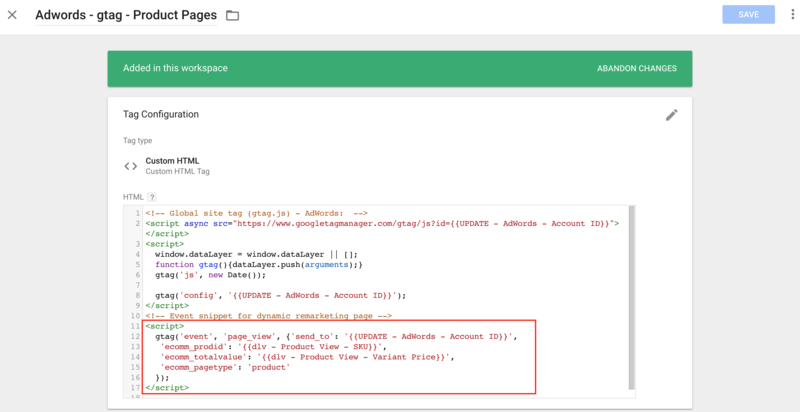 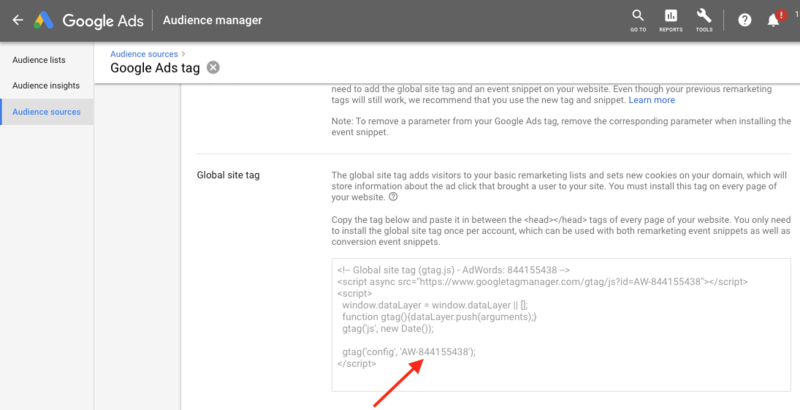 Go to all Adwords - gtag - tags and click "Unpause" in the top right corner of the GTM Tag. 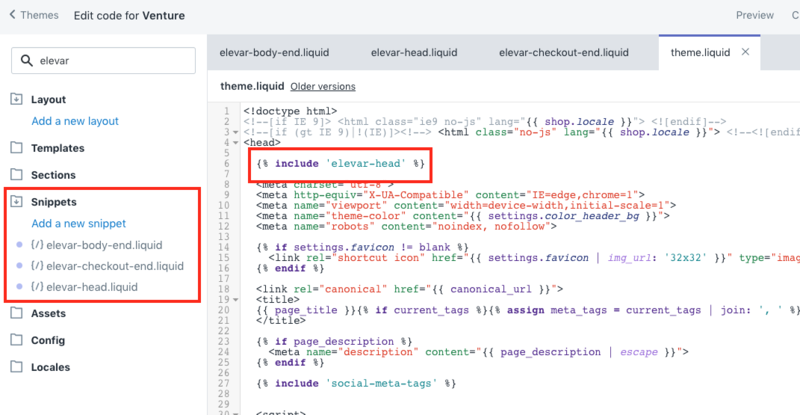 You will want to verify the following tags fire on each page as shown below. 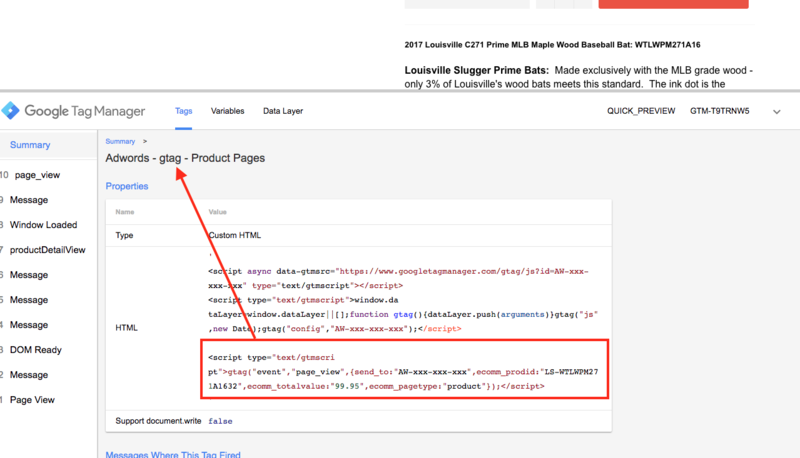 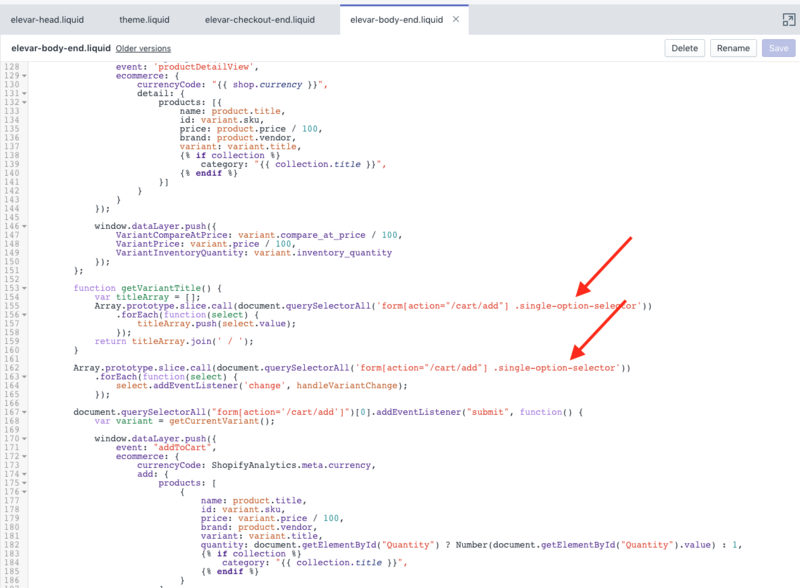 And then you need to verify clicking a product on a collection page pushes a product click event. 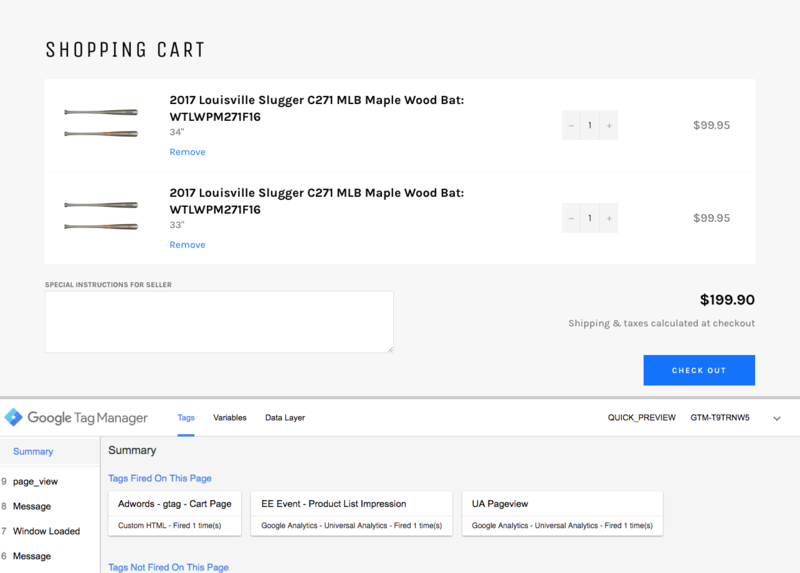 I usually do this by right clicking a product to open in a new tab. 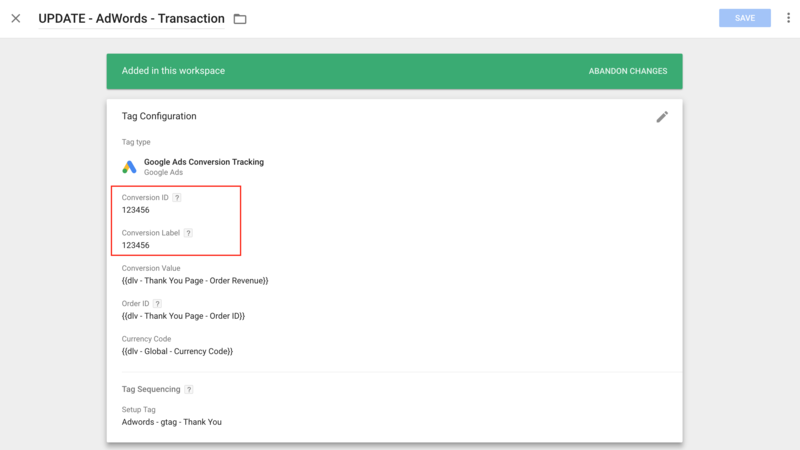 Now something that we do different is push an additional product detail view hit when a user changes a variant which you can see in the video below. 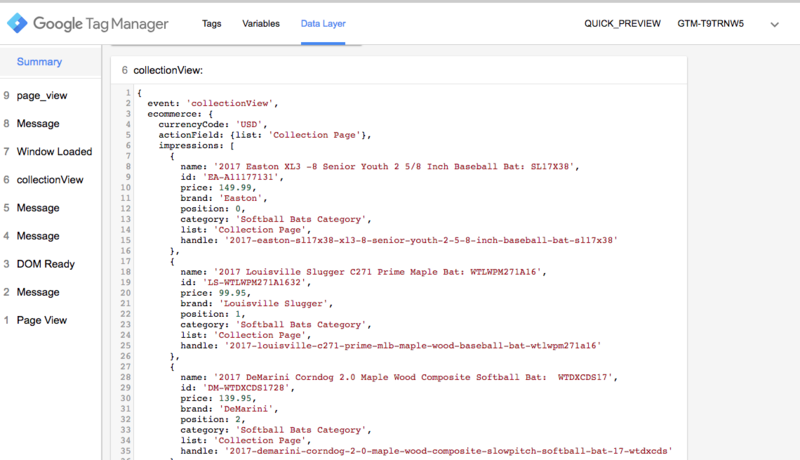 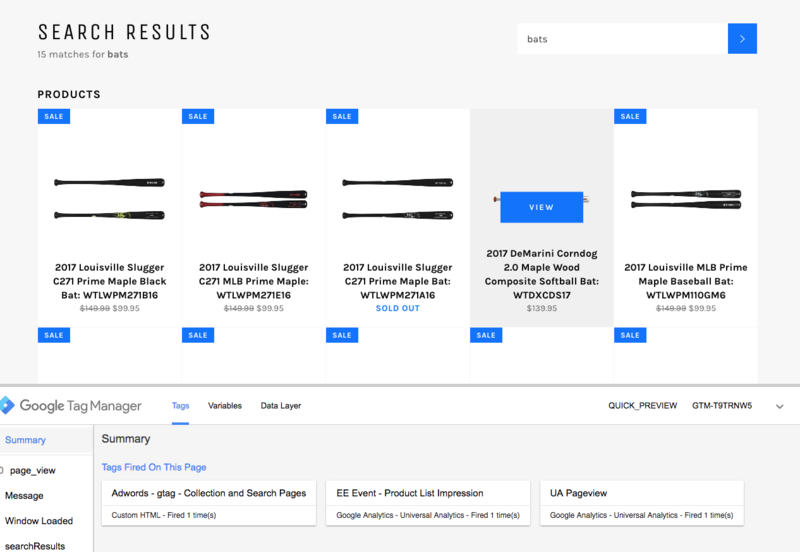 And we also push an impression list into the dataLayer for your merchandising list analysis which provides your positioning of products in the shopping cart. 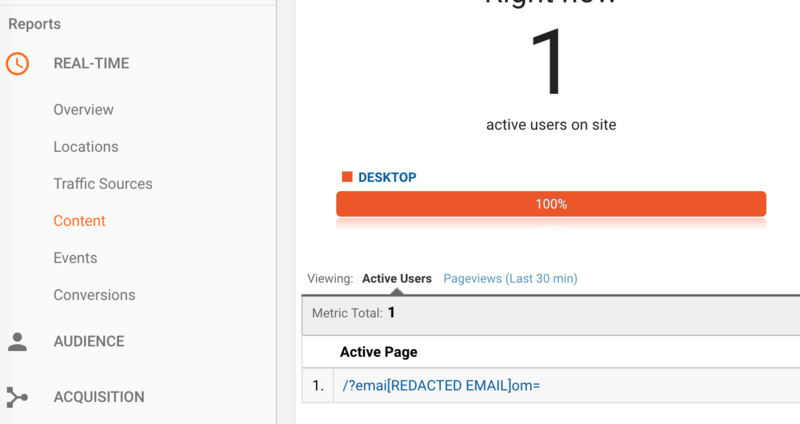 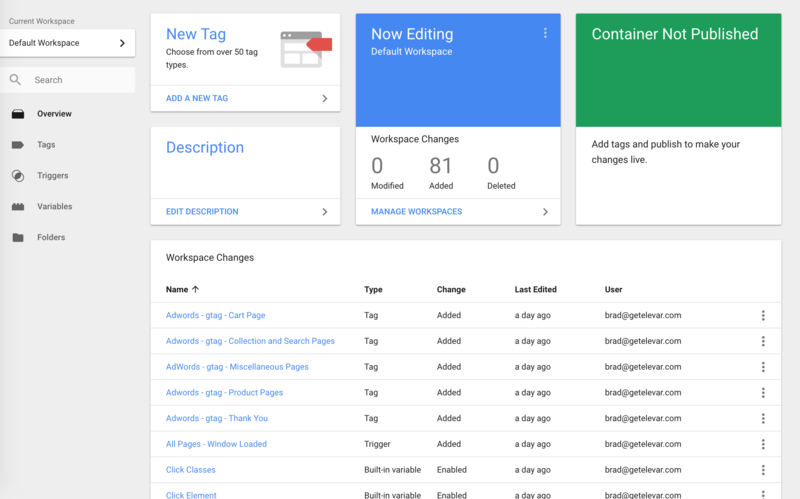 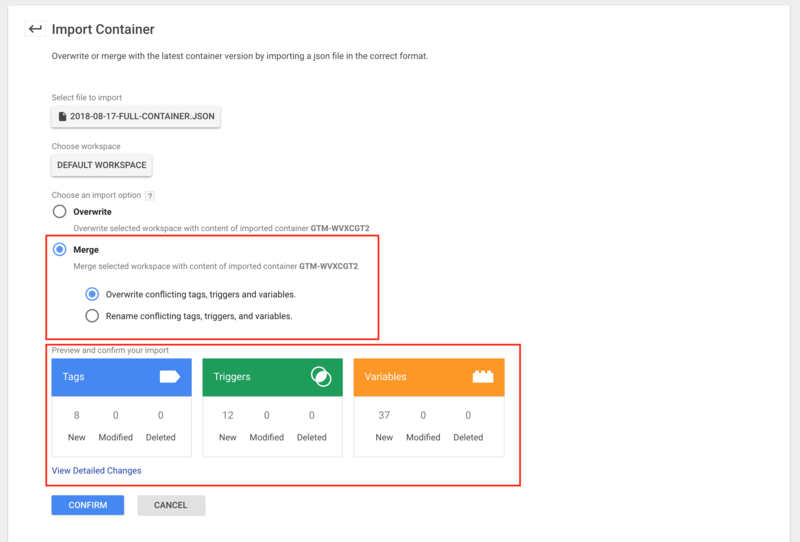 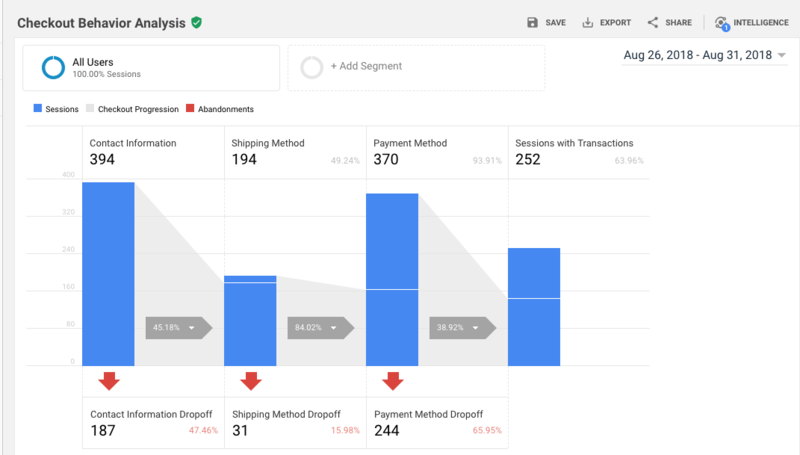 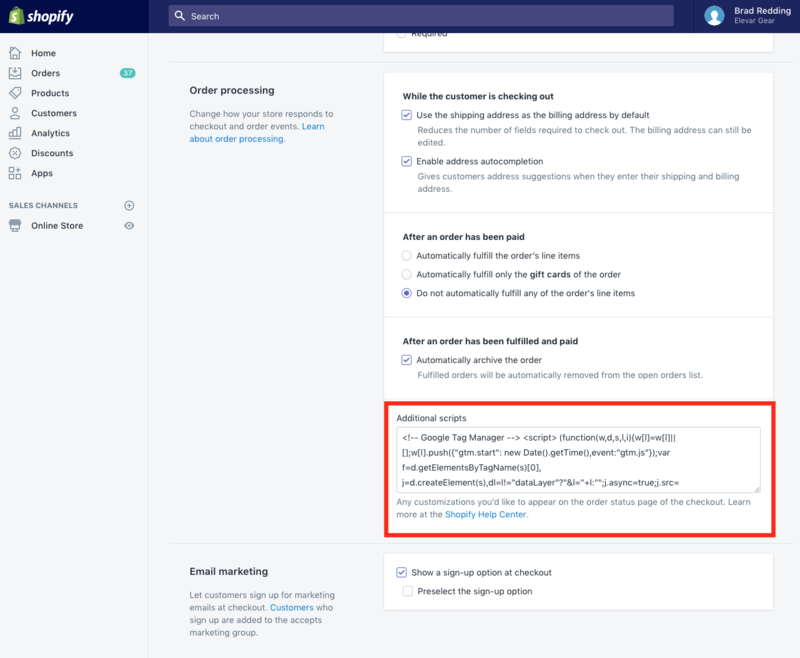 If you are transitioning 100% to Google Analytics tracking via GTM instead of native Shopify then we recommend creating a test GA property first and setting this account # first to monitor for a few days. 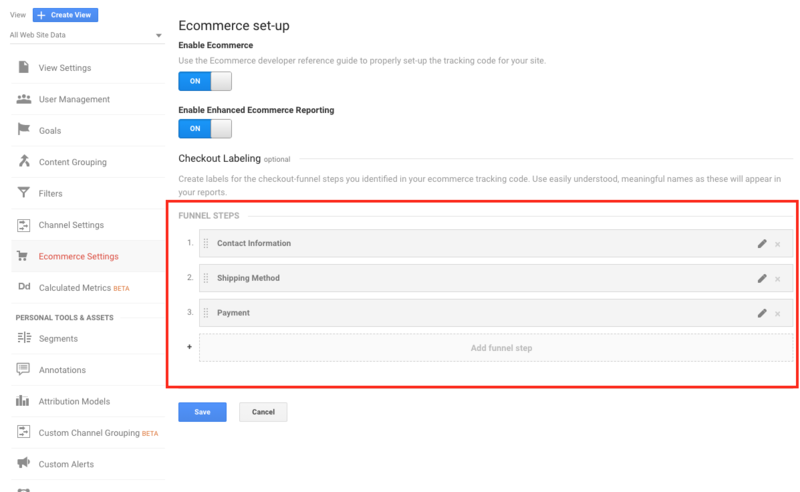 This will allow you to compare traffic and revenue #'s between your pre-existing property and this new property that is setup via GTM so you feel confident in the data when fully transitioning.